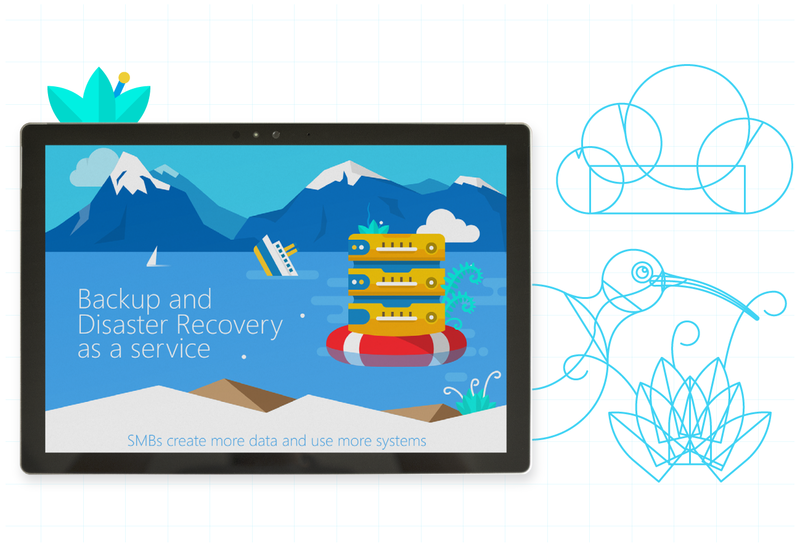 We created localised infographics to demonstrate the benefits of Microsoft Azure for backup and disaster recovery for customers and partners in New Zealand. 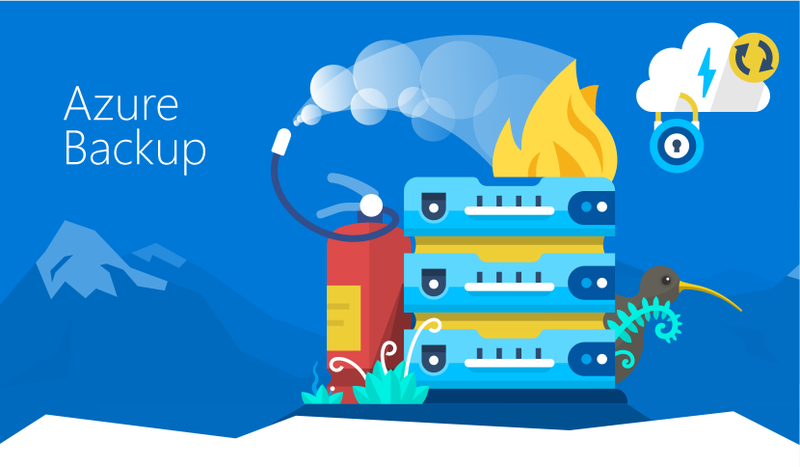 The infographics had to clearly communicate essential information about the Microsoft Azure product as a backup and recovery tool in a manner that would ring true with small and medium businesses in New Zealand. 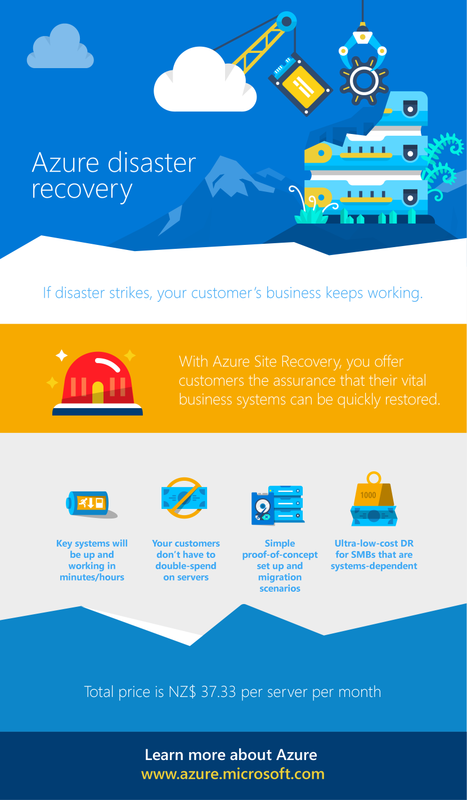 Microsoft asked us to create infographics that would better help their partners to promote Azure and show customers the benefits of the product. The goal was to create clear messaging while telling the story in a way that would resonate with the target audience located specifically in New Zealand and the surrounding Oceania region. The biggest question we encountered was: how do we create content that explains the benefits of a solution in informative way, while also engaging B2B audiences in specific region? At beginning of the project, we researched the audience to create a specific approach in the infographic design, taking into consideration the local habits and sense of humour of the region. Everything from the look and colour scheme to the content were customised and localised for the region. A thorough research of the New Zealand audience gave us a direction to go in, using examples of real-life disasters such as floods and earthquakes that occur in the region. There were three scenarios targeting businesses of different sizes: an engineering company of 10 people, a manufacturing firm with 50 employees, and a mid-sized finance office with 100 employees. All graphic design had elements that would resonate with this specific audience; local flora, fauna, and landscapes. By using different scenarios tailored to the three kinds of businesses that Microsoft Azure wanted to engage, we told three different stories that the audience could relate to, in terms of company size and industry. Localised infographics helped the prospects to understand the way Azure could solve their challenges and made it easier for Microsoft partners to communicate product benefits to their customers. Localised content is one of the most effective ways to engage customers in a specific market. A personalised approach has a powerful impact on attracting new customers and educating existing ones on all product benefits. If you’re planning on targeting a specific market or region, localisation is essential for your success. Are you interested in this type of project?